The Transportation Policy Leadership Group and the million dollar taxpayer funded GoHillsborough campaign loudly touted "options" throughout their campaign effort. However, Parsons Brinkerhoff and County Administrator Mike Merrill offered the Transportation Policy Leadership Group only ONE transportation funding option: another 30 year, CIT like $3.5 Billion sales tax hike. Why? The decision for another 30 year huge sales tax hike appears to had already been decided long ago. The only question remaining was whether the county would push again for a full cent (14%) sales tax increase again or a smaller increase to dent any opposition to the county having the highest sales tax rate in the state. Greenlight Pinellas and the other sales tax referendums that went down in flames last November may have put the nail in the coffin of trying for a full cent in Hillsborough AGAIN. Since the Transportation Policy Leadership Group took a "ceremonial vote of confidence" to continue pursuing the 30 year tax proposal, we will start a series of posts to revisit how the proposed huge 30 year sales tax increase was all very well orchestrated. How did we get from developing a transportation strategy to an almost $1.5 million dollar taxpayer funded campaign pushing for more of your tax dollars? The chief orchestrator has been County Administrator Mike Merrill but he was empowered to do so. Merrill has been empowered to take on a new role as Hillsborough County's first policy making unelected County Mayor. 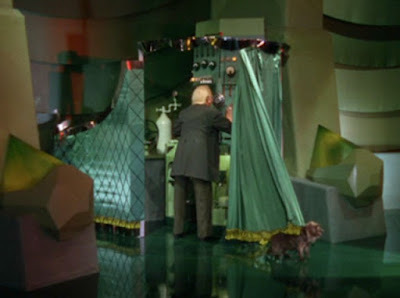 Merrill has become a Wizard of Oz of County Center deceptively manipulating the entire transportation initiative from behind the curtain. Merrill was told to lead the charge by the county commissioners. That was the first mistake. County Administrators are unelected bureaucrats and are NOT responsible for policy making nor responsible for running around the county advocating tax hikes. According to our Home Rule Charter which includes separation of powers, the County Administrator is the Executive branch responsible for implementing the policies of the decision makers of the legislative branch, the elected county commissioners. Can the electeds, the legislative branch, delegate their policy making power to the executive branch county administrator? We'll leave that question for another day. The first item of business Merrill had to do was expand our local government. He hired deputy county administrators to perform his normal County Administrator duties as his attention was consumed by the transportation initiative. Merrill then created the Transportation Policy Leadership Group (PLG) consisting of all the county commissioners and mayors of Tampa, Temple Terrace and Plant City. The reason they were selected is they all have revenue raising responsibilities aka tax increases. Merrill hired facilitator Herb Marlowe to facilitate monthly PLG meetings. There was no transparent bid, RFP or requirements submitted by the county for this work. Merrill just handed Marlowe the work because he had facilitated the county's strategic planning sessions. Marlowe and county staff (including Merrill) hosted county transportation public hearings all over the county from August to December 2013. These were the only transportation meetings where the public had an opportunity to actually speak and make a public comment on this issue. However, the elected officials were specifically told to stay away and not attend these meetings. Was that a strategy to shield the electeds from directly engaging with their own constituents? Someone (Merrill?) decided they did not like what was being publicly said at those meetings. There was no report, no analysis, no summary, nothing ever publicly and transparently presented to the PLG. The taxpayers paid for Marlowe's public engagement effort but was it simply a waste? PLG meetings were consistently held each month with various groups of people for about 10 straight months. These meetings are held like workshops providing a public venue for the PLG to discuss the issue but no public comments ever allowed. It was Merrill who invited the rail cartel to the first PLG meeting. That meeting turned into a hand holding, kumbaya session touting high cost light rail again. So much for Sharpe's statement about the county having a huge issue with public trust...Is inviting the local rail cartel to the very first transportation meeting a way to build public trust? Last year Merrill hired large engineering firm AEComm to do a county transit assessment. Their assessment reported the county does not have ridership high enough to qualify for federal funds to implement high cost fixed guideways transit solutions. AEComm recommended that the county invest in transit prudently and cautiously (not boldly and recklessly). AEComm's assessment was completed last May and the county (Merrill) buried it. While taxpayers paid for this assessment, it was never publicly presented to the PLG. We knew the local media got the information about the transit assessment but they decided to treat it as if it did not exist and basically chose to ignore it. Guess the AEComm report did not fit the narrative of Merrill, the Tribune and others who had already decided the county would pursue another huge 30 year sales tax increase. So they all chose to ignore it. While AEComm was doing their assessment, Merrill attempted a wizardly proposal for a hostile takeover and restructure of the HART Board, our local transit agency. Merrill wanted all elected officials on the HART board, except for the two gubernatorial appointees. 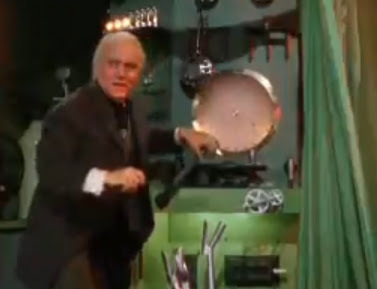 Even the Wizard of Oz could not figure out how to get rid of of the gubernatorial appointees. However, they would be marginalized by all the electeds who would have the majority. Merrill not only wanted the HART board to be all electeds, he wanted to expand HART's authority to include roads and all transportation. Merrill proposed transforming our transit agency HART into a one stop shopping "Super Agency" to oversee all transportation in the county. By Florida statute, HART is a transit agency and it does not do roads. It was never clear how legally transforming HART into a transportation super agency could ever occur. Were dollar bills dancing in some heads dreaming of a new huge sales tax hike? Did Merrill want wizardly control over a new huge pot of money? A new 30 year, $3.5 Billion stream of money could be used, when needed, to dole out tax dollars to more cronies and for commissioner's pet projects. This new 30 year tax could become another incumbent protection tax. Merrill's proposals to takeover HART with all electeds and expand its authority would create another "PTC like" agency controlling all our local transportation dollars. Corruption, waste and fraud would ensue, especially with a new bucket of $3.5 Billion of tax dollars. One only needs to look across the Bay to Pinellas County's fiscally mismanaged transit agency PSTA and see that a transit agency governing board consisting of all electeds is NOT a model to follow. The issue of the hostile takeover and restructure ended up becoming such a distraction, even for the Wizard of Oz. Therefore, Merrill directed the PLG to put it on the back burner last summer. But beware - if the huge 30 year, $3.5 Billion tax increase makes it on the ballot for next year, Merrill will probably bring this issue back. Has more wizardry been going on behind the curtain at County Center? Wizardry pushing another huge 30 year, $3.5 Billion sales tax referendum? They stop at nothing for $$$$. Education needs to begin STAT so people understand that the tax needs to be voted down.